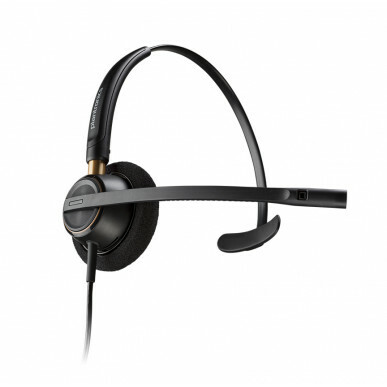 The HW510 EncorePro is the latest generation of corded headsets from Plantronics. It can be used with desk phone, computer or mobile phone (each requires the right connector cable). It is both wideband and noise cancelling - this combination of great value, fantastic sound and proven ruggedness will make it a hugely popular headset with businesses of all sizes. The HW500 series comes in a range of wearing style - 510; over the head, one ear, 520; over the head 2 ears, 530 earhook style, 540; over the head, earhook AND neckband styles included. If you like the over the head (headband) style the 510 and 520 will be the most durable. As with any corded headset, with the 510 you are connected to your phone via a cable, this can be frustrating when wires lie across your desk and get in the way of papers or drop down and get crushed & tangled under chair wheels. In addition, don’t forget to factor those additional costs when budgeting. You may even need an amplifier – if so, a wireless headset will probably work out cheaper than a corded one. Should you prefer a Sennheiser brand equivalent, the SH 230 is an excellent choice for around the same money, but bear in mind it doesn’t have noise cancelling. The Sennheiser SC 230 is our top pick corded headset and certainly worth a look. The Jabra range (the other big name in headsets) also offers a smart cable which will provide a compatibility solution for the majority of phones. 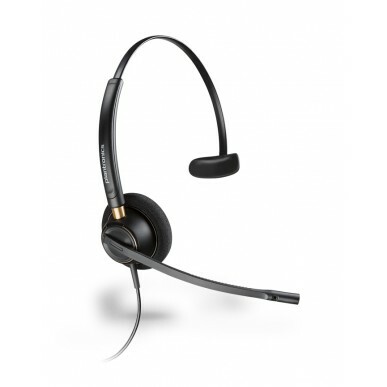 Have a look at the Jabra Biz 2300 Corded Headset for a robust, quality solution equivalent to the Plantronics. 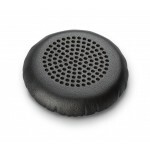 If staff sit close together and it’s really noisy, the ultra noise cancelling of the CC 515 IP is definitely worth the extra investment..
Another factor to consider is the extra productivity that can be gained from the freedom to walk away from your desk while on a call. It is worth checking out the Jabra Pro 920 which is a great entry level wireless option for only a small amount extra (but it’s a single ear model). 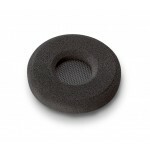 If you’re brand loyal to Plantronics, the CS510 is the wireless equivalent of the HW510. We’ve bought several of your headsets and never had a problem with any of them. Great product, good value for money, very easy to set up and use.